Coordination is a challenge for any business, but imagine the purchase-to-pay process of Brookfield Properties Corporation, which manages over 76 million square feet of property (the area of over 1,300 American football fields, side by side) across the United States and Canada. This includes premier office properties such as the World Financial Center in Manhattan, BCE Place in Toronto, Bank of America Plaza in Los Angles and Bankers Hall in Calgary. With offices across North America, Brookfield Properties Corporation was hindered by a paper-based authorization and financial approval process for its real estate projects. Procurement documents were mailed from office to office, creating delays at cost. Upon delivery, these documents had to be hand-keyed into their industry specific accounting system, CTI. This system also limited their ability to develop reports. When a manager wanted to see a Budget vs. Requested Purchases vs. Actual Payments report for their projects and properties, they had to construct the reports themselves in Microsoft Excel. Other special reports had to be requested from the finance department. Brookfield Properties chose to move their paper based procurement process to an electronic workflow. While they wanted to simplify their existing process, they were also concerned with security for compliance with Sarbanes Oxley. After reviewing several applications, they chose Purchase Tracker, one of the Tracker Suite business solution modules. Purchase Tracker offered streamlined procurement as well as strong internal financial controls and tracking. In addition, Purchase Tracker utilized the Lotus Notes infrastructure they already had in place, which allowed them to easily deploy a customized solution across the organization within 4 months. Purchase Tracker simplified the purchase request process, allowing Brookfield Properties managers to securely submit requests from any location, through Lotus Notes or over the Web. Because Purchase Tracker leveraged the Lotus Notes experience of the Brookfield users, adoption across the international offices was rapid. Once submitted, the purchase request is automatically routed to a designated approver for review. Once approved, the purchase order is automatically entered into their accounting system. At every step in the process, an electronic log is kept of all document activity, creating a trail of responsibility. Processed purchase orders are securely archived within Lotus Notes. By simplifying purchase request submission and automating approval routing, Purchase Tracker reduced Brookfield Properties typical procurement cycle from 3-4 days to a matter of hours. The approval routing, in combination with activity tracking and secure document storage, helped satisfy their need for Sarbanes Oxley compliance. Utilizing Purchase Tracker, reports are now available on-demand to managers. Brookfield Properties also deployed another Tracker Suite product, the Tracker Data Warehouse (www.TrackerSuite.com/DataWarehouse), a Web based reporting engine. Utilizing the Tracker Data Warehouse, Brookfield managers can generate and manipulate reports with filters drag-and-drop and pivot tables. These reports can be exported to Microsoft Excel with a mouse-click. 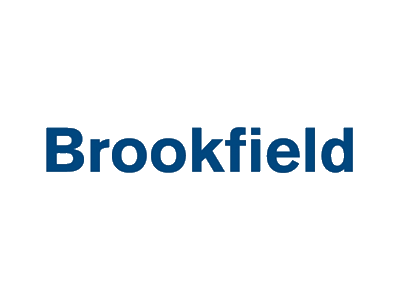 Brookfield Properties is the largest real estate management organization in North America. Yet in only 3 months, in its offices across the United States and Canada, Purchase Tracker has streamlined purchase requisition, accelerated their approval processing while enabling SOX-compliant security, and provided managers and executives the on-demand reports they needed.